LOCTITE® 242® is designed for the locking and sealing of threaded fasteners which require normal disassembly with standard hand tools. Suitable for applications on less active substrates such as plated surfaces, where disassembly with hand tools is required for servicing. 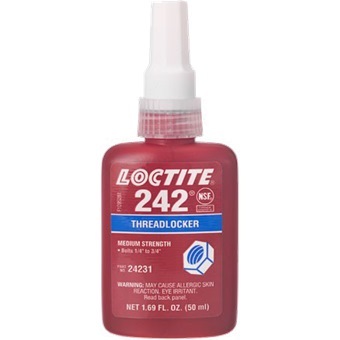 The thixotropic nature of LOCTITE® 242 ® reduces the migration of liquid product after application to the substrate.